Iranian President Hassan Rohani attended the World Economic Forum, just days after an important deal with world powers on Iran’s nuclear programme came into effect. In this edition of Global Coversation euronews’ correspondent in Davos, Isabelle Kumar, interviewed President Rohani about the economic and political situation in Iran, and his government’s support of the regime in Syria. 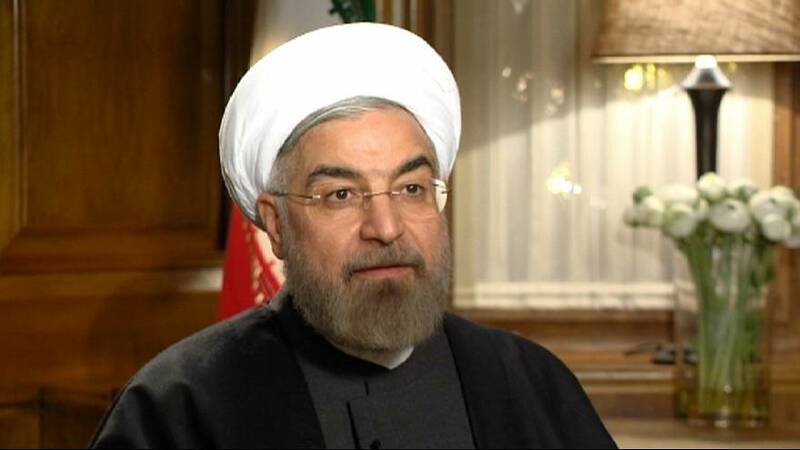 President Rohani: “It is not a discussion about Bashar al-Assad. Today, many dangerous terrorist groups are in operation in Syria. This is a danger to the whole region. It’s even dangerous for those who are supporting these terrorist groups today. “What is important in Syria is not the issue of Bashar al-Assad, it is the issue of civil war. We should all work hard to isolate terrorism. We should all work towards putting an end to the civil war in Syria. The future of Syria belongs to the Syrian people. We will respect the view of the majority of the Syrian people, whatever that may be. No foreign official or government can or should make decisions for the Syrian people. President Rohani: “Firstly, I would like to say the change that is felt in Iran today is not a change that this government has brought about. This government has started its work in the atmosphere of change that the people have created. “The recent elections created a new atmosphere. They opened the door towards interaction with the world. This chance is an opportunity for everybody and they should use the opportunity that the Iranian nation has created. I am pleased that in the past five months, with the efforts of this government and the countries involved in the negotiations, circumstances enabled us to take our first successful step. “We are committed to the obligations set out by the Geneva agreement as long as the other side is committed. We are fully ready to take the final steps regarding the nuclear programme. The situation in Iran today is such that it has provided the groundwork for further interaction with other countries: both with nearby countries and with the rest of the world. “We used to have very important traditional and historical relations with Europe. Today, the foundations are laid and we’re ready to make a return to those historical relations. What happened in previous years in the name of sanctions – illegal sanctions – was damaging to all sides. It was a road leading to a dead-end. Everybody discovered that it was the wrong way to go. The right path was to negotiate, which was a path both sides rightly chose. “I think the future of Iran is very bright. Iran has a very special strategic position, particularly regarding resources and mines. When we look at human development, our country has highly-educated people. Today, Iran has 4.5 million university students. “Therefore, the environment in Iran is fully ready for constructive interaction with other countries, including Europe, and I hope that ourselves, Europe and other countries grasp this opportunity.